At J & S Garage Doors, we specialize in garage door repairs and replacements. Founded in 2004, we are proud to be a family owned and operated business. We offer friendly service, quick turnaround time and the lowest possible prices. And best of all, we only carry top-quality products. 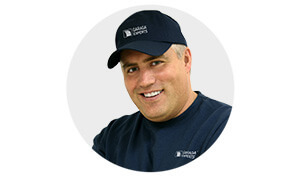 When it comes to residential and commercial garage doors, we recommend Garaga. This Canadian manufacturer is rated # 1 when it comes to quality. GARAGA garage doors are beautiful and built to last. Please visit our image gallery to see our many colours and styles. At J & S Garage Doors, we provide free estimates to customers throughout the Greater Toronto Area. Call us today at 905-882-6464 to speak to one of our experts. If you prefer to see what we have to offer, please visit our showroom at 3980 Chesswood Dr, North York, ON M3J 2P6. Whether you are looking to replace your old door opener or to outfit your new set of garage doors, we have what you need. Our quality garage door openers will make your system easy to use and safe for the whole family. At J & S Garage Doors, we only carry the best. LiftMaster’s line of garage door openers is ranked number one for its safety features and its advanced technology. Manufactured by the Chamberlain Group, these openers offer exceptional value. They are our best-selling products as they are reliable, safe and durable. Looking to update your garage door system? In need of a new garage door opener? Visit our door opener gallery to see our large collection of residential and commercial models. Not sure which opener is best? We can help! Our experts will find a door opener that works perfectly with your garage door. Our customers tell us low prices are important, but not at the expense of good quality. At J & S Garage Doors, customers can count on our quality products and professional installations. We take our training so seriously we have even become certified Garaga Experts. We offer garage door repairs and maintenance, as well as new installations. We also offer preventive maintenance programs. Our friendly technicians will inspect your garage door system, checking for broken or worn parts, and will lubricate it if necessary. They will make sure your door works perfectly and is safe to use. Come and see how our customer service sets us apart from the competition! We serve the Greater Toronto Area, from Oshawa to Oakville to Innisfil. Visit us at 3980 Chesswood Dr, North York, or call us at 905-882-6464. We look forward to serving you.